Getting your eyes checked with us is more than getting a pair of glasses. We are very thorough in the examination process in order to check your overall eye health and keep you informed of your well being. Several eye diseases may not show symptoms during the earliest stages. Glaucoma and Macular Degeneration are conditions you may not know about it until your doctor tells you. This is one of the aspects of your vision we check first. We look inside the eye for any signs of problems. Early detection is always the simplest way to reduce the risk of vision loss or even failure. With a photo, we can study the inside of your eyes in greater detail. We assess the health of your retina and the overall health of the eye. The doctor can use these photographs as a reference to track the progress of your eyes during future visits. Finally, we check your eyes for corrective lenses. This is a very important step, because the power needs to be precise. Wearing eyeglasses with a prescription that is inaccurate can be damaging to your vision. 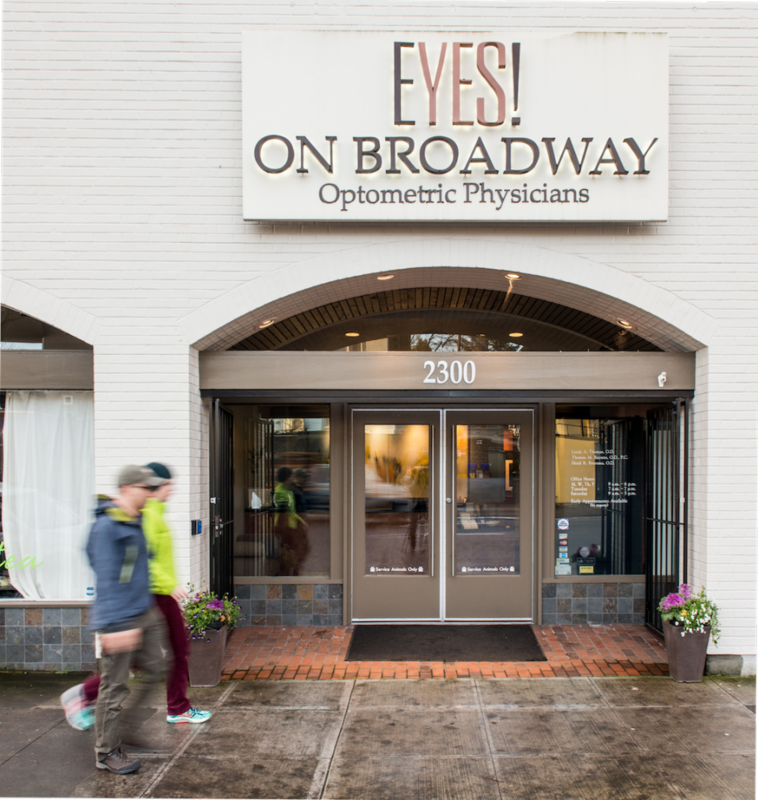 We make sure that every single patient that walks out of our doors is wearing the most accurate prescription for them in the most fashionable frames! We love helping kids see better because we know how important it is for academic success. A child’s vision is fragile and still-developing, so most kids with bad vision don’t know they have it until later in life. We recommend kids five and up come in annually for a comprehensive exam so we can alert parents if any problems are found.